Carpets are an expensive investment, which is why after getting professional carpet cleaning, it is important to know how to maintain your flooring. Regular cleaning and maintenance, between professional carpet cleaning servicing, is key to preserving appearance and ensuring your carpet looks its best for longer. Straight after professional carpet cleaning it is important to wait for the carpet to be fully dry before you walk across it (unless the carpet cleaning used a dry cleaning process). Never walk across wet flooring because the material can easily attract dirt and grime during that state. Walking on carpets with shoes on can quickly make the carpet appear dirty. Barefoot isn’t necessarily the best option either, especially straight after the carpet is professionally cleaned. The skin in your foot has natural oils that can leave an oily residue on the surface of a freshly cleaned carpet. The residue can attract dirt that will leave marks. Instead of walking barefoot, use socks or slippers that you reserve for indoor use. That way you can maintain the pristine quality of the carpet. It is important to take action right away to prevent stains from embedding deep within the carpet surface. Don’t wait for the next day or later to attend to spills and stains. The longer the spill remains on the surface, the more difficult it will be to remove it. When you own a carpet, it is important to have a commercial carpet stain remover for emergencies. If you can’t remove the stain on your own, call a professional cleaner immediately. That way you can save your carpet before the stain becomes permanent. Carpet cleaning experts recommend blotting spills instead of rubbing them. The latter will cause the liquid to soak into the fibres of the carpet. After the spill, try to clean it with water first. Blot it with the use of paper towels. Don’t use cleaning agents with harsh chemicals. If water doesn’t work, use a small amount of dishwashing detergent. If you can’t remove it, then the best solution is to contact a carpet cleaner specialist. 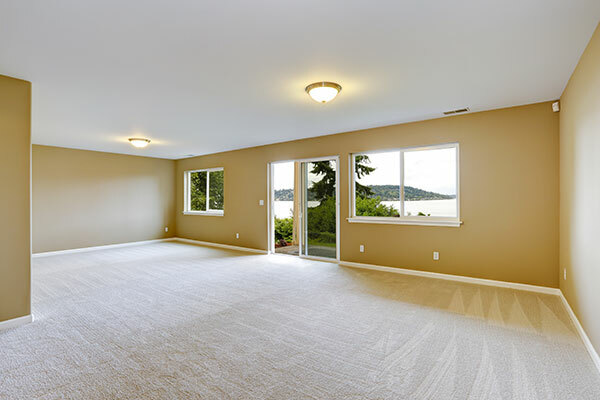 Don’t rely on professional carpet cleaners alone to keep your carpet looking great. It is important to vacuum the rug and carpet regularly. Don’t wait for the carpet to look dirty before doing so. Regular vacuuming removes dirt and other allergens from the flooring. For quality cleaning services, contact Sun Dry Carpet Cleaning today! We are more than happy to answer your concerns about carpet and rug cleaning, and offer a free quote.